EVER WONDERED WHY CHIROPRACTIC CARE IS SO BENEFICIAL? Why do kids need Chiropractic? Because they’re KIDS! Traumatic birth, learning to walk, slips, falls – the list is endless! Children have an adaptive system resulting in these issues typically being brushed off and ignored. It is important to let the Doctor know of any significant issues you or your child may have encountered during the pregnancy. The main concern in regards to Chiropractic care and children is that the adjustments will be too forceful. Parents mistakenly think that their child will receive adjustments much like what they receive. Chiropractic adjustments are modified for each person’s needs, size and unique spinal condition. Children rarely have the long-standing muscle tightness that adults do, making their adjustments much more gentle. As a comparison, infants and newborns are adjusted with the same amount of pressure as you would use to test the ripeness of a tomato. Although there is no scientific evidence supporting these results, Chiropractic can help children with spectrum disorders. Parents will typically report that their kids seem ‘out of touch’ with their bodies. And this is true. A child’s nervous system is so out of sync that they literally can’t feel themselves in the world. These children often either love being touched or hate being touched, to the point they do not even like the feeling of clothing! That is where Chiropractic comes into play. 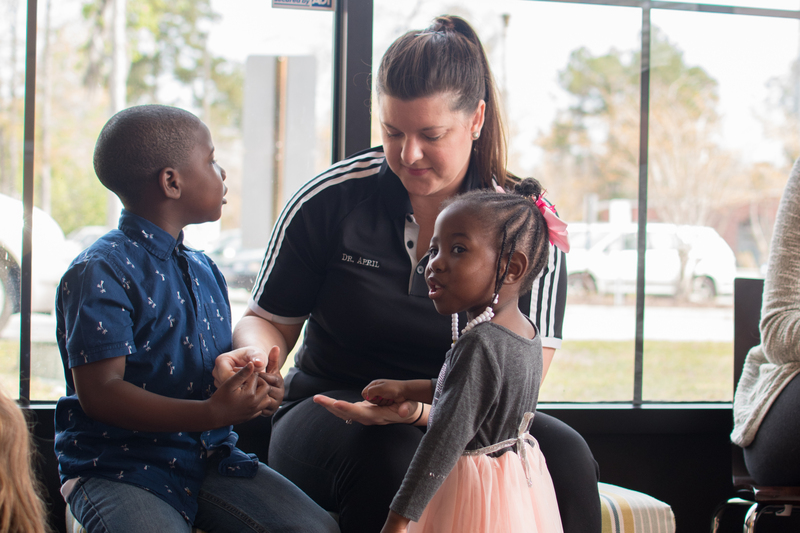 Chiropractic aims to stimulate the children’s nervous system. Essentially, waking their body up! Allowing them to be more aware of their body in space. Parents see that after an adjustment their child will calm down or often fall asleep on the drive home. Their mood improves, functioning at school improves, simple day to day tasks that their children typically struggle to become easier. Parents also recognize when it is time to bring their child back to the Chiropractor. The child becomes increasingly restless or starts to revert to the previous state. Women are discovering the many benefits associated with Chiropractic care throughout their pregnancy. Chiropractors focus on the body’s natural design and support the mother’s desire for a safer, easier birth. Pregnant women can safely receive Chiropractic care. In fact, Chiropractic care can promote a healthy, stress-free pregnancy by alleviating joint pain, muscle aches and nausea. 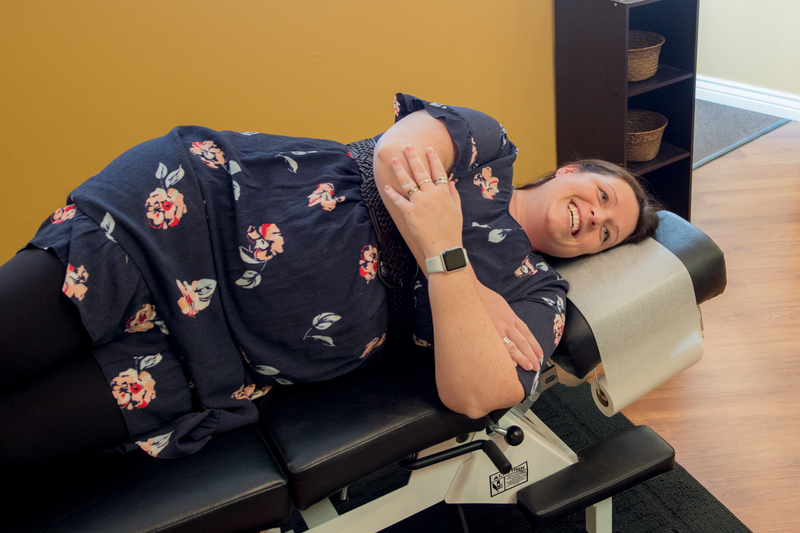 Chiropractors learn to accommodate the special needs of pregnant women. Care is modified so that no pressure is applied to the abdomen. Some Chiropractors receive specialized training to address specific conditions that can arise during pregnancy. Such a Chiropractor will have a special table that adjusts to accommodate the belly at all stages of pregnancy. Misaligned joints may be caused by the significant changes that occur during a pregnancy. Weight gain, changes to the alignment of the pelvis, changes to posture and increased curvature of the back all contribute to pain and discomfort. Chiropractic during pregnancy can be especially effective in reducing the effects of these physical stresses on the body. Chiropractic care can provide relief for other symptoms of pregnancy, such as nausea and morning sickness. Stress to the uterus and its supporting ligaments may be reduced by means of a specialized technique in establishing balance in the pelvis. For more questions about Chiropractic care during pregnancy, please contact us and we will be more than happy to answer your questions. Also, feel free to visit the International Chiropractic Pediatric Association website. Here you will find more information about the benefits of Chiropractic for mothers and children.